It’s not in the Tigers make-up to be content in defeat, but underneath the tough exterior, there cannot be many who slept badly after the last-gasp loss at Bath last Friday evening. Yes, it was against the old enemy. Yes, it was the second game in defence of silverware won last season. And yes, there were points in the game where one more score would have put it to bed and given Tigers a two-from-two record in the opening phase of the competition. 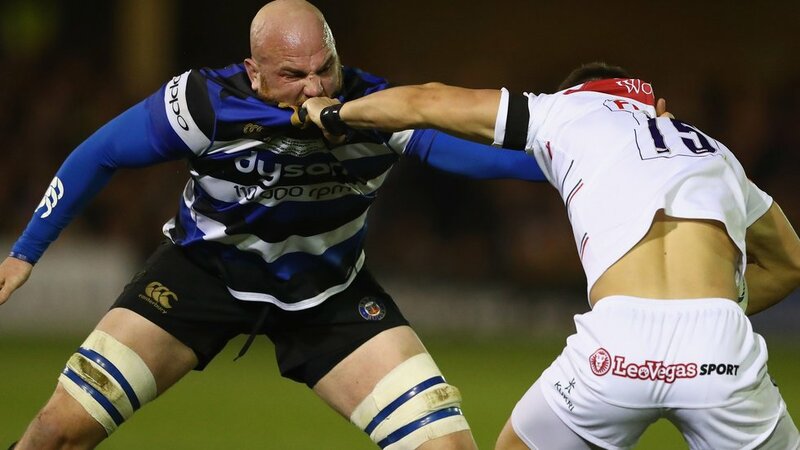 Instead, Bath celebrated a 33-31 victory thanks to a late penalty try awarded after Tigers had been under pressure from the hosts and the match officials at a series of defensive scrums. The final score does not tell the whole story, although the two bonus points in consolation provided tangible reward. Tigers did outscore their hosts four tries to three, which is impressive enough without adding some important background information. Matt Garvey led out Bath in his 100th appearance for the club, Matt Banahan and Tom Homer provided the nous in the backline and Freddie Burns led from fly-half, as he did for Tigers in the victorious cup run a year ago, while Tigers sent out a team which included nine teenagers. The ‘old heads’ of Dan Tuohy and Kyle Traynor had a combined total of three previous starts for the club and Adam Thompstone was starting his second game of the season after injury. But the performance demonstrated great heart and spirit, exemplified up front by Harry Wells – almost a veteran in his 25th first-team appearance – and skipper Harry Thacker. The forwards were certainly up for it, with Fred Tuilagi growing into the game to such an extent that late on he picked off a pass from Banahan and somehow summoned up enough energy to run for halfway and then boot the ball into Bath territory to relieve some of the pressure. The Tigers defensive line forced errors and there were numerous occasions when they won turnover ball in their own 22 against physically imposing hosts. Total graft was at the heart of the effort, combined with no little skill in the execution of the tries, two for Jonah Holmes and one each for Thompstone and Ben White. Harry Simmons, the 19-year-old scrum-half in his debut against Gloucester a week earlier, stood up well at full-back, while fellow youngsters Jordan Olowofela, Charlie Thacker, Tom Hardwick, Sam Lewis, Tommy Reffell and Tuilagi stuck to their task both individually and as a unit. The game ended with replacement Will Yarnell running out as the first player born after the millennium to wear a Tigers shirt in a senior game. He will be 18 next March. Even Geordan Murphy, a man who knows the edge it takes to win big games, confessed he was happier with the performance in a close defeat than he had been after the narrow win over Gloucester. Every member of the squad earned a thumping pat on the back from Murphy and his colleagues Boris Stankovich, Anthony Allen and Brett Deacon, all of whom will have approved of the passion and the commitment shown in the shirts they wore with distinction. Head coach Matt O’Connor will have made some mental notes too.